By W. Gardner Selby on Monday, January 5th, 2015 at 11:35 a.m.
Texas U.S. Rep. Louie Gohmert, who seeks to be House speaker, has a PolitiFact report card. Texan Louie Gohmert revealed this weekend he's available to replace the U.S. House speaker, John Boehner. Gohmert, R-Tyler, has faced the Truth-O-Meter eight times. His best result? A couple of Mostly Falses. Separately, New York Times columnist Gail Collins, made a couple flawed claims about him. 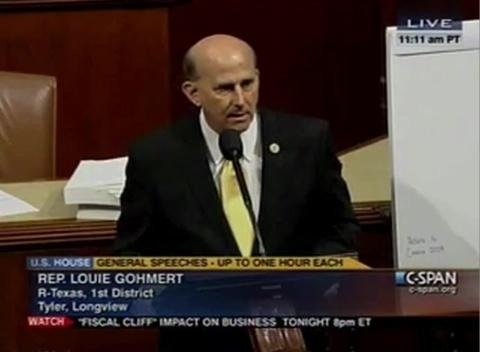 See Louie Gohmert's PolitiFact report card here. See John Boehner's PolitiFact report card here.